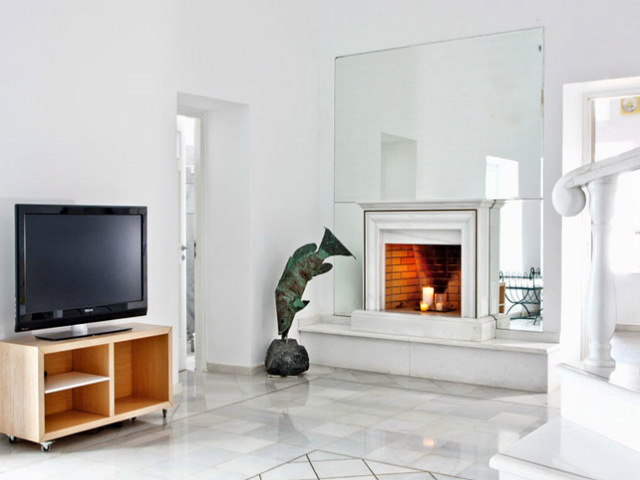 The large living room of the villa has a comfortable sitting corner with leather sofa ,an extra sitting corner with sofa bed that can accommodate two extra persons, a marble fireplace in case you visit the villa and Santorini in the winter and is decorated with precious paintings and art objects. 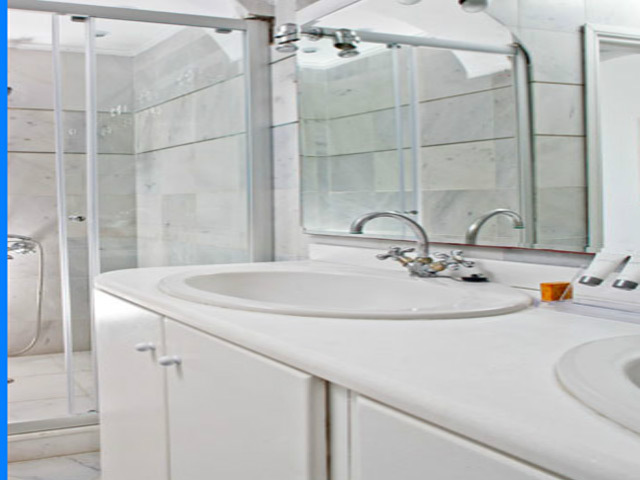 A bathroom with shower serves the living area. 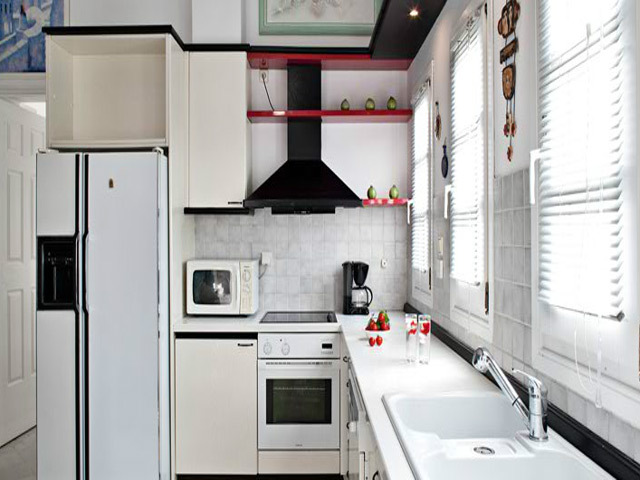 As you pass through the impressive entrance of the villa you enter to a fully equipped kitchen with all modern appliances including ceramic hob oven, large refrigerator with ice maker, dish washing machine, microwave and large dining table. 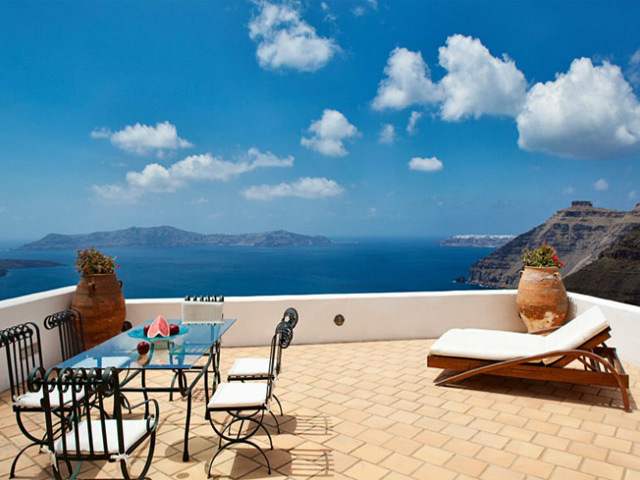 The sitting area of the villa leads to a huge verandah where you have panoramic views of the volcano, the whole town of Fira and the most beautiful sunsets in Santorini. A wonderful outside dining table made of iron and glass is ready for the most memorable dinners as you enjoy epicurean meals gazing the volcano and the sun setting in front of your eyes. 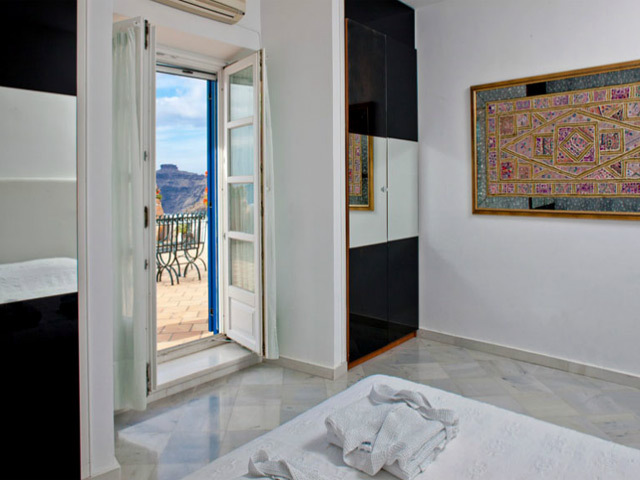 A large sun bed is at your disposal for sunbathing or just admiring the stunning views of Fira and the volcano in relaxation. 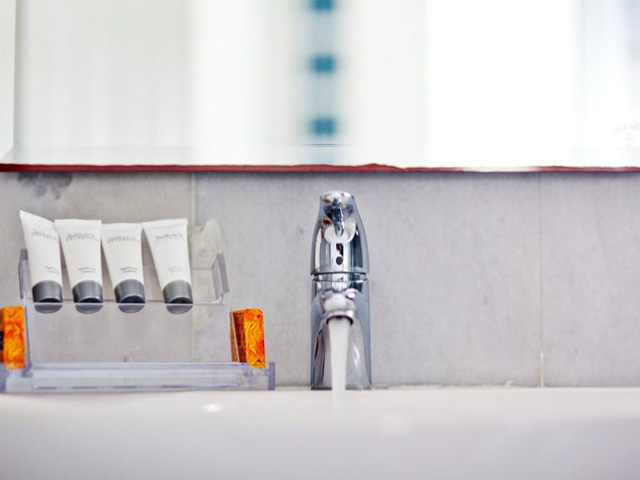 The privilege to share a refreshing swimming pool situated in a boutique hotel just below your villa is also a plus. Inside the living room a door leads to the master bedroom where you can even watch the sea from your bed. 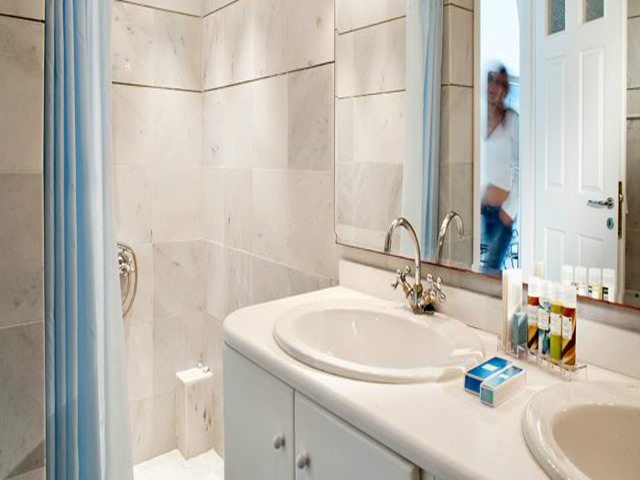 A luxurious marble bathroom with Jacuzzi bathtub and separate shower cabin serves this bedroom. Marble stairs lead from the lounge up the second bedroom on the upper floor which is absolutely private from the rest of the house. The view from up there is truly amazing. 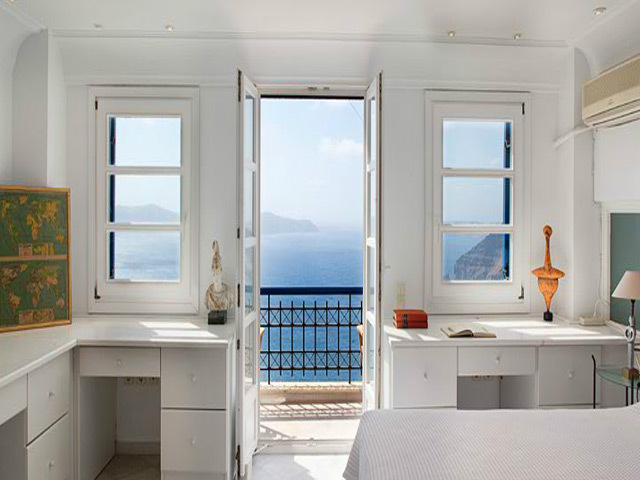 You can stay for hours in the balcony of this bedroom gazing the sea. 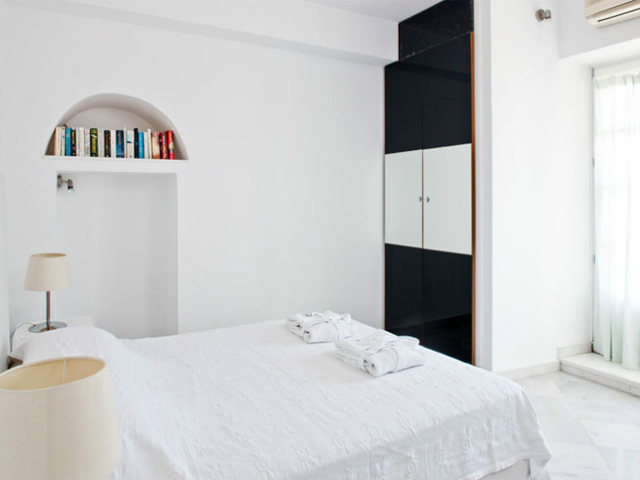 A marble bathroom with shower serves this bedroom.The Villa is also equipped with a laundry room including a washing machine and clothes dryer. 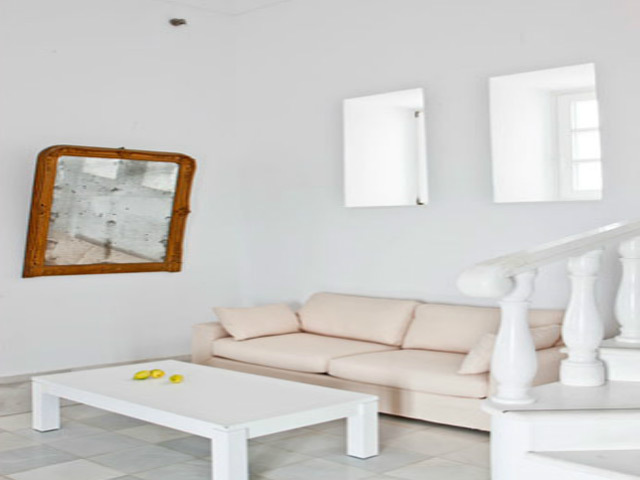 This villa is wonderful for honeymooners, friendly couples, families or small group of friends travelling together who want to enjoy living at the heartbeat of Santorini, Fira. Massage services, private boat tours, guided tours, private chef, extra staff can be arranged upon request. 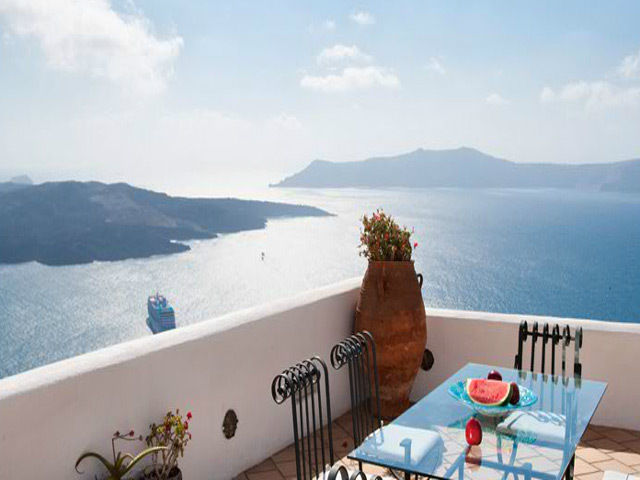 Athina Luxury villa in Santorini is situated in the heart of Fira. 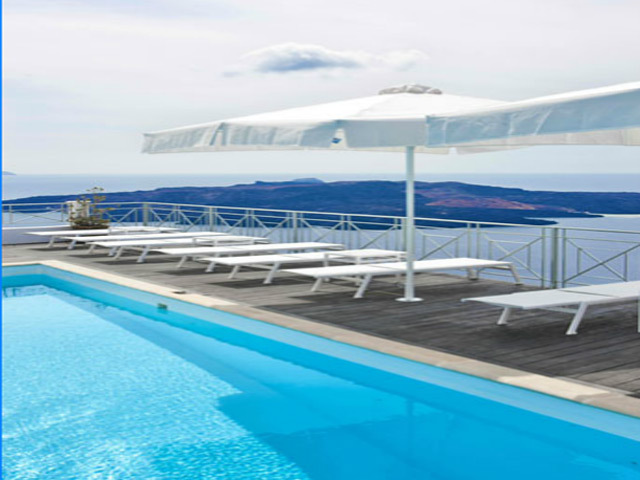 Open : May to October...Athina Luxury villa in Santorini is situated in the heart of Fira just a step away from all the famous restaurants and the cosmopolitan life of Santorini but hidden in a quiet, picturesque neighborhood of Fira and Santorini.